With many different brands of scuba diving equipment available, you want to know what's best for you. To many times we can see that a particular student comes from a particular dive shop by the equipment they wear. By the same accord sometimes we can even determine who may have been their instructor. This not a bad thing but was the retailer or instructor really looking after the student. Many students buy equipment based on what the instructor is wearing, rather than on what meets their needs and budget. We need to look at equipment from a different point of view than how the retailer looks at it. Some retailers are really only after the profit margin they receive following a sale. The store clerk may be pressured by quotas or makes a commission on each sale or both. Good retailers are truly interested in the customer's needs, and budgetary concerns and the service they can provide that customer. Oh yes, they want to make money but they want you to feel comfortable with your purchase and service you received. Retailers often rely on the scuba instructor to sell equipment and it is the instructor who is your first source of information when selecting the type of equipment that's right for you. Let's take a look now at what good retailers do in providing you the customer with what you need for enjoyable scuba diving. It is here a good retailer shows they care about you, the customer. I once had to actually tell a customer that the $100 mask was wrong for her and that the $40 mask was a much better purchase. Why? Because it FIT! She was convinced that the $100 mask was of much better quality and therefore should be better for her to have. The customer is always right, not this time. I explained to her that if the mask did not fit she would not enjoy scuba diving and that the less expensive mask would provide her with much more comfort, thus more enjoyable diving. I also explained that a mask may fit her but if she was not comfortable with that mask, to try on another one that provided her with a good fit and comfort. To prove my point I took three masks to the pool, the $100 mask and two $40 masks. She bought the more comfortable $40 mask. All three masks offered similar quality. Different manufactures offer different warranties on their equipment. Generally the manufacturer that is willing to back their equipment will offer a longer term and more favorable warranty. Some offer lifetime to original owner. I have seen customers who have owned a particular brand of BCD for 18 years bring it in and get warranty work done at no cost to them for repair. Others only offer a 2-5 year warranty on their product. Warranty and service are also a deciding factor in the purchase of equipment. There is many brands of equipment out there, some are better than others both in quality and price. The more expensive item does not guarantee the better product. You must decide based on your budget, what you can buy, and the quality and of course the fit and comfort. When selecting decide how that piece of equipment fits you and is it comfortable for you. Ask about the warranty. Paying a few dollars more may be worth it for the warranty. Ask about after sales service. Then when you are comfortable with the information you have, choose your color after all you want to look your best! Let's take a few moments here to talk about how we can ensure that "good fit and comfort" we want in our diving equipment and how we should buy it to save the most money overall. the head strap over your head, positioning it above the ear line on the very back of your head. (You can release the suction) You may need to take in or let out some strap to fit your head. The mask should not be pulled too tight, as this will cause the skirt to flex out and cause the mask to leak and be uncomfortable. Does the mask sit comfortably on your face; is your vision good, looking straightforward and peripheral. Do you like a clear skirt or an opaque skirt? Is it your color? If you wear eyeglasses you may decide to purchase corrective lens for your mask. This is a better and safer option than wearing your contact lens. For this option you can purchase a mask with your actual prescription, even bifocals. The retailer also may stock corrective lenses for some masks; these can be installed in about 5 minutes. Usually a mask that you can use corrective lens in is a two-lens design. The snorkel is really nothing more than a tube about 3/4 to 1 inch in diameter. It should be comfortable in your mouth and not more than 12-15 inches in overall length. For scuba diving you may elect to choose a snorkel that hangs down away from your mouth so as not to interfere when breathing from the regulator. The snorkel is worn on the left side of your mask. The booties or wet socks come in a variety of styles. Basically they should be as comfortable to wear somewhat comparable to a good pair of running shoes or slippers. You want them snug on your feet but not to tight. Generally they size similar to a shoe size. Try them on and walk around in them, see how they feel. Booties offer warmth and better foot protection and are much safer than going barefoot. of the foot pocket. The fins should be snug against the topside of your foot showing no gaps or loose material. Fins come in different sizes (small, med, large, x-large). Test the fit of the fin, first without using the fin strap, for security of fit. Now place the fin strap to where you find it most comfortable, usually just above the heel bone. Tighten the fin strap only until snug, do not over tighten, as this will cause cramps in your foot. Test the stiffness of the fin blade by pulling the fin tip back towards you, decide if you will quickly outgrow the fin stiffness because of your leg strength or if the fin blade is suitable to your requirements. Does the color match your mask and snorkel? Ensure you become familiar with how the fin strap buckle system works, how it releases and tightens and how the strap mounts to the fin. it by reaching and bending, twisting and sitting. If you are diving in waters that are considered warm than you will not need a very thick suit. The colder the water the thicker the suit required. In some cases you may need a two-piece suit and require a hood and gloves. I suggest that if you are in an area where the water is cold then practice your skills wearing the gloves and hood to become familiar to the effects of wearing them. It doesn't hurt to do this in a warmer location either. Gloves will change your dexterity and a hood may feel awkward at first. Also wear the full suit in the pool before going out into the open water. This way you'll have a chance to better calculate your weight needed and you'll see that moving in a thicker suit may be a little more cumbersome than a thin skin type suit. You should always match your suit to the environment and depth to which you are diving. It is easier to cool down than warm up while underwater. If you do overheat when on the surface then just jump in the water and wait for your buddy there, it may be more comfortable. In any case get a wetsuit that is snug and comfortable to wear given the environment you'll do most of your diving in. Hey in today's materials you can even match the color of that mask, snorkel and fin set. Wetsuits range in price from about $65 for a shorty to $400 for a full two-piece, average price $159.00. called shells come in very durable materials usually of a highly resistance to wear nylon, rubber, polyester material called a trilaminate. Others are of a rubatex or neoprene material. The neoprene material, although generally warmer, does not have the abrasive resistance or durability that other suits have. Good buoyancy control can negate that issue. You should receive training before using a drysuit for the first time. The use of an under garment called a " wooly-bear" is also needed to provide that extra bit of warmth that a drysuit is known for. A drysuit keeps you dry but you still may be subject to the cold and that is where the under garments come in. You should have sufficient space in your drysuit that you can wear an undergarment and still have plenty of room to stretch and move. Don't get one to baggy though you'll use up too much air in an attempt to avoid the suit from pinching you at depth, also known as squeeze. Follow the manufactures instructions on care and maintenance of the suit, especially the zipper. Ensure that the correct fit of all the seals is correct and comfortable. This is very important in the neck seal. Choose the drysuit based on your type and frequency of diving. If you dive shipwrecks or caves you may want a more durable shell type drysuit. If you enjoy diving the open water zones than a neoprene drysuit may be all you need. Drysuits vary in their pricing from as low as $400 to over $2500 so be certain that you choose wisely and according to your budget. BCD manufactures have designed their BCD's to allow for a more custom fit when buying right off the rack. Your retailer should take the time to fit you correctly. Choose your BCD again for the type of diving you want to do; spending a little more now will save a lot more later. The BCD and regulator should be one of your first big equipment purchases. You'll know how it will fit and feel plus you know the condition they are in. The BCD is a life support system. 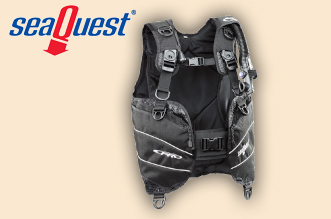 Most BCD's provide approximately 35-40 pounds of lift or floatation. Some can achieve as much as 150 pounds of lift used in more technical diving applications. And like everything else they can come in a wide variety of colors, you know to match that mask, snorkel, fins and wetsuit you bought. Today some incorporate the weight system integrated into the BCD harness. These have proven to be much more comfortable to wear than the old weight belt. BCD's will also compensate for depth compression when you descend thus maintaining comfort and security. Prices range from $300 and up. The regulator is the device, which allows us to breath underwater. Generally we select a regulator by how easy it breathes. Some regulators do not perform as well as others and some of the higher priced models don't perform with any notable difference to their lower priced counterparts. Review your budget and select a regulator that will meet your needs. Test breath several different models; see if your local dive shop will let you test dive the models you may consider buying. 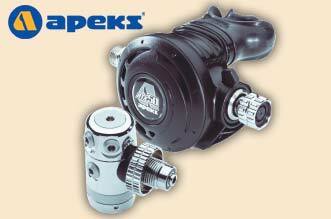 Each regulator assembly should include an octopus or alternate air source. Some BCD's have the alternate air source as part of their configuration and you'll need to learn how to use the particular configuration you choose. In addition to the octopus the regulator assembly must have a console consisting of a depth gauge or computer, and a means to monitor your air supply. A compass is also highly suggested. If you don't elect to use a computer you may not be getting the most out of your diving. Computers when used in conjunction with dive planning tables really add to your diving safety, and they provide a means of keeping track of all that dive data that you'll want for your logbook following your dive. Some have downloadable capabilities that you can connect to your PC and log your dives that way. If you are thinking about learning to dive with enriched air than I suggest to purchase a computer that will be programmable for enriched air diving and save the initial cost upfront. The scuba cylinder should be one of the last things you purchase. The cost of renting a cylinder is not much more than an air fill. But if you plan to dive frequently than by all means buy one. They come in many different sizes from a small pony bottle to the much larger 130 cubic foot. You can decide between high pressure and low pressure, steel or aluminum. If you buy one you might as well purchase two scuba cylinders, just for the convenience. Oh yeah! And they come in a variety of colors so you can be color coordinated from head to toe - ah fin! There are many accessories to add to your diving equipment list. On the top of the list should be a diving flag with float. Some states require by law that you have a flag anytime you are diving or snorkeling, the flag is a much worthwhile investment in diver safety. The diving knife is a tool and again there are many designs to choose from. If it's not a knife you want than perhaps a pair of scissors will be your choice. Diving lights I feel should be carried on every dive. At night you require at minimum two lights, one as a primary and the other as a backup. Some applications such as cave or wreck diving require that you carry a minimum of three. You will want to choose a light that provides you with sufficient light duration and brilliance for the type of diving you choose to do. For underwater photography or video the brighter the light generally the better. 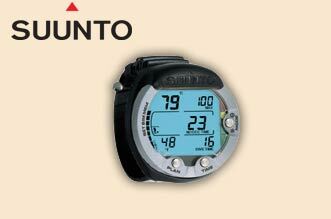 Another accessory that I find worthwhile is a device called "Divers Alert". 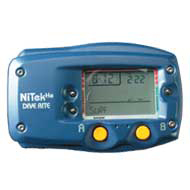 It is a diver distress, signaling device that connects between the low-pressure inflator hose of your BCD and the tank. It produces a very loud signal that can be heard from a great distance, even over the noise of a boat's engines. You may also elect to carry a "Signal Sausage." In the event you may become separated from your dive flag this device will mark you position and warn boats that you are in the area. Finally an underwater slate. A slate can be used for many things from communication to your buddy, recording your dive plan and navigational recording. All you need is a standard pencil and you can write away. One over looked piece of equipment is the logbook. This simple little book can provide a world of historical and useful information if you take just a few moments after your day of diving to fill it out. There are to numerous accessories to mention just use some common sense and tailor accessories to the diving you opt to do. Accessories make great Christmas gifts, hint-hint! Buying your equipment can be an interesting challenge. Select your retail shop carefully just as you would for your instruction, looking for a comfortable atmosphere and service and selection. A courteous staff will be there ready to provide you with what you NEED for the type of diving YOU choose to do. With consideration to your budget purchase equipment with quality that you feel also provides you the best fit and comfort level. I always suggest to my students to buy equipment in packages, this way they will save much money over the long haul. They should match the equipment to the type of diving that they have interest in doing now or maybe down the road with a little more experience under the water.